There are many ‘natural’ products, which can be used to clean your house instead of chemical cleaners, or, these natural products can be ‘combined’ to create many environmentally friendly alternatives. The substantial cleaning powers of baking soda reach far beyond its role as a fridge deodorizer. 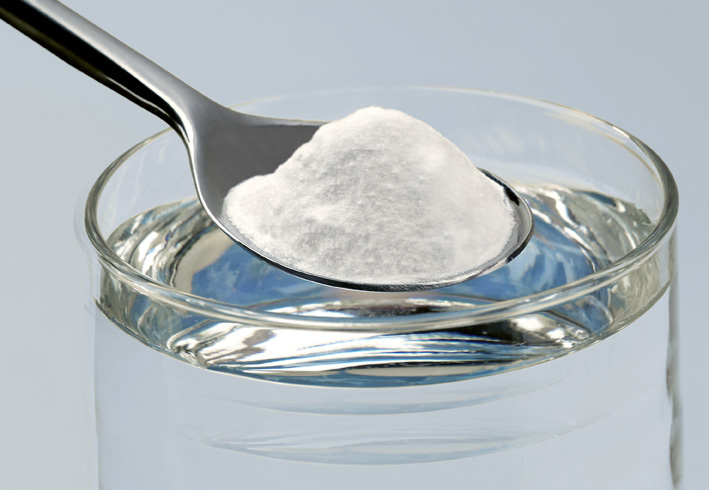 Scouring Powder: Baking soda works as a non-abrasive scouring cleaner on countertops and ovens, and in bathtubs and sinks. It also rids clothes of perspiration odours when used in conjunction with laundry detergent in the washer. Laundry: The next time you do laundry, try adding 1/2 cup to a cup to your load. Vacuuming: Before you vacuum, sprinkle it on your carpet as a deodorizer. Grease Cutter: Washing soda is great at cutting grease, getting wax or lipstick out of clothing, and neutralizing odours. Soot Cleaner: Mix 2 tablespoons of washing soda to 2 cups of hot water. Wash sooty areas with a sponge and the mixture. Let dry and then rinse. Stove Burner Grime Cleaner: Fill a sink or pail with 1 cup of washing soda and enough hot water to cover the pans. Soak the pans overnight. Heavy Duty Cleaner: Make a thick paste of washing soda and water. Smear it on the problem area; let dry and then rinse. Note that washing soda can peel wax off a floor, and is often used as a paint stripper, so make sure the place being cleaned is inert. Paint Stripper: Follow directions for above. All-Purpose Cleaner: Combine 1 teaspoon of washing soda with 2 cups of hot water in a spray bottle. Spray and wipe as you go, using as you would any commercial all-purpose cleaner. 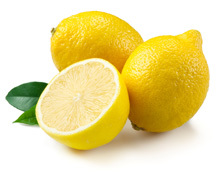 Lemon juice is another natural substance that can be used to clean your home. Lemons are acidic and can provide some antibacterial and antiseptic properties for cleaning. The acid in lemon juice neutralizes hard water deposits, dissolves buildup and dirt on wood, and tarnish on silver. Cleaning Copper / Brass: Copper fixtures can also benefit from a lemon juice cleaning. Cut a lemon in half. Dip it in some salt, and clean spots from your copper. 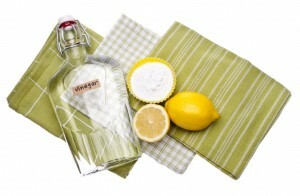 Countertops: Countertop stains can be removed by allowing lemon juice to sit on the stain for a few minutes. Scrub the area with baking soda and watch the stains disappear. Don’t leave the lemon juice sitting for too long. It can be powerful stuff. Paste: Lemon juice can be mixed with vinegar and or baking soda to make cleaning pastes. Furniture Polish: Mix 1 cup olive oil with ½ cup lemon juice and you have a furniture polish for your hardwood furniture. White vinegar can be used in place of lemon juice. The infamous strong smell dissipates as the vinegar dries. Window Cleaning: White vinegar and newspaper make a great combination when it comes to cleaning windows and glass – inexpensive and doesn’t streak! Pesticides: When planting, mix in pest-resistant plants such as yarrow, thyme and marigolds. Chop garlic cloves and sprinkle around the base of flowers and garden plants. Herbicides: Each spring, spread a light layer of topsoil and/or compost across your lawn as evenly as possible. This introduces nutrients and organic matter to the existing soil. Let your grass grow longer. This shades the soil and inhibits weed germination. Pull weeds instead of using chemical control. Aerating your turf will relieve soil compaction and allows the lawn to breathe. Plant Insecticides: Use a non-chemical compound such as a solution of 15 ml (3 teaspoons) of pure soap per 4 litres (1 gallon) of water. Store the mixture in a spray bottle, clean leaves with it and spray directly on any insects. Paint: Use latex or water-based paints whenever possible as they do not require thinners and solvents. Before disposing of empty oil-based or enamel paint cans, take outdoors, remove lids and allow the left-over contents to air dry and harden. Ensure pets and children are kept away. Strippers: Use a heat gun and sander instead of paint and varnish remover. Motor Oil: Purchase recycled (re-refined) oil instead of refined oil. Batteries: Use solar-powered or rechargeable batteries. Aerosols: Use non-aerosol cleaning and grooming products such as pump sprays, pastes and gels.